Those may be fighting words to some, but your site really needs help. The latest research shows the importance of maintaining your website, especially if you run a business. A website that’s obviously out-of-date can have a strong negative impact on sales, as it can cause viewers to believe the site is no longer active. Features also have a direct impact on a website’s effectiveness as a marketing tool, including features that users like and those they don’t. Credibility is another vital quality that determines a website’s commercial success. Additional design elements also have a direct effect on the ability of a website to deliver its intended message. A 2018 study by Blue Fountain Media (BFM) surveyed 1,013 respondents in the US for their opinions regarding their preferences on website features. One of the most significant results of this survey was that 81 percent of respondents thought less of a brand when its website wasn’t up-to-date. The survey also showed that 39 percent of respondents would think twice about using a website’s products or services if its content wasn’t current. Mobile design is a highly effective way to impress website viewers, according to the BFM survey. Nearly three out of four respondents indicated they would download a mobile app for their favorite brand if one were available. Half the respondents said a website’s content was the most helpful feature when shopping online. About half of respondents also liked the convenience of seeing relevant ads on a website, although they also expressed concerns over the other ways in which their data was being used. About one in four respondents disliked seeing ads in their social media based on their browsing history. Only nine percent felt favorably about ads in social media. Stanford’s Web Credibility Research provides a good deal of insight on how businesses can increase their credibility. This study showed that three out of four viewers base their opinion of a company’s credibility on its web design. This statistic means that design has a greater impact on website credibility than any other factor, including content. Researchers also found that most people base their initial impression about a website solely on its visual design. This result shows designers should pay close attention to elements such as images, layout and typography. A website’s visual design doesn’t necessarily need to have a stiffly formal appearance, but it should match the site’s purpose. Some websites seem designed to stroke their owners’ egos or impress their users rather than providing any real value. However, Stanford’s research shows that ease of use and usefulness boosts a site’s credibility with its users. Websites also gain credibility when they’re reviewed regularly, even when their content doesn’t actually change. People often use the internet as a source of information about a product or service, even when they aren’t actually shopping online. A Pew Research Center study shows that 58 percent of Americans use the web when making purchase decisions. 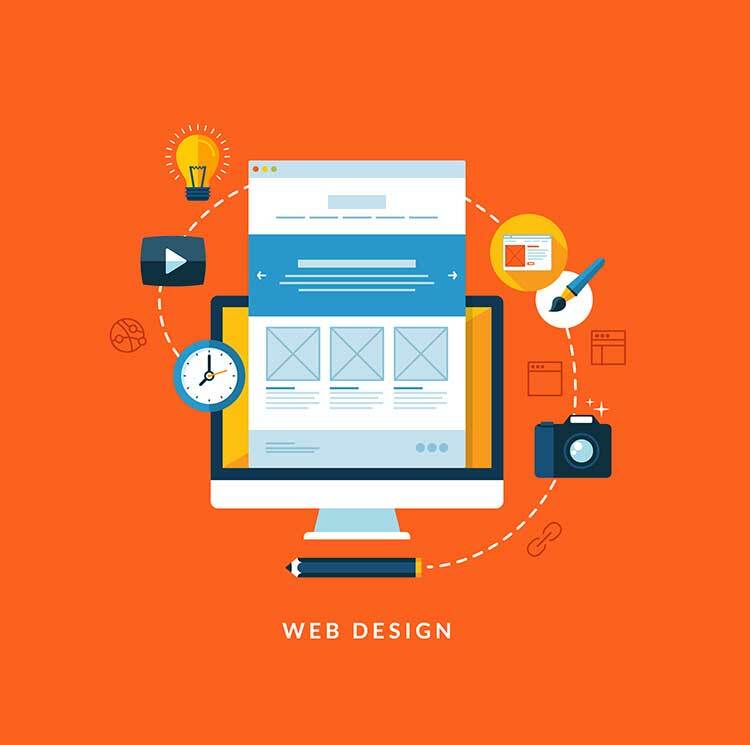 Website design should therefore use good design practices to attract potential customers and drive them towards a purchase. An effective search engine optimization (SEO) strategy is critical for these goals. The general purpose of SEO is to improve a website’s ranking on search engine results, which increases its visibility to viewers. Common SEO techniques include the strategic placement of links and keywords throughout the website. A website must also be easy to navigate if it’s to effectively compete with the many other websites that typically appear in the same search results. A coherent structure and interactive marketing techniques are essential design elements for achieving this goal. Well-designed websites include a call to action that encourages the viewer to make a purchase. Potential customers should be able to easily understand their purchase options once they’ve found what they’re looking for on a web site.